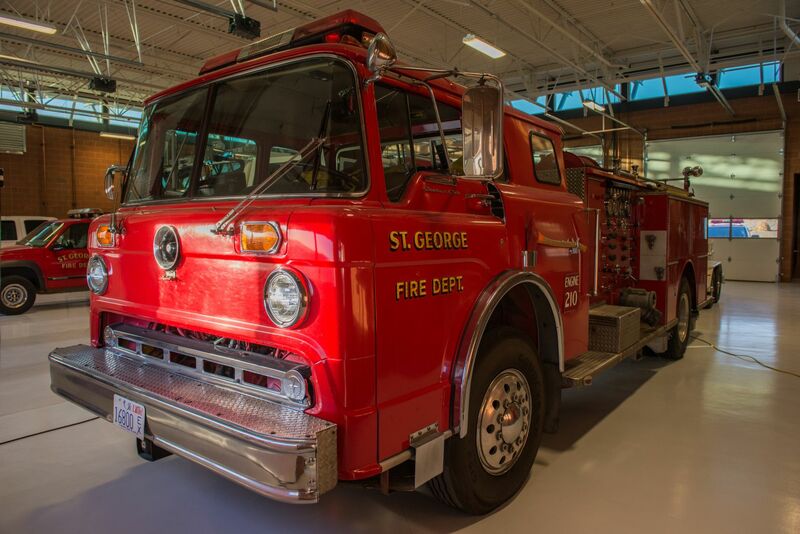 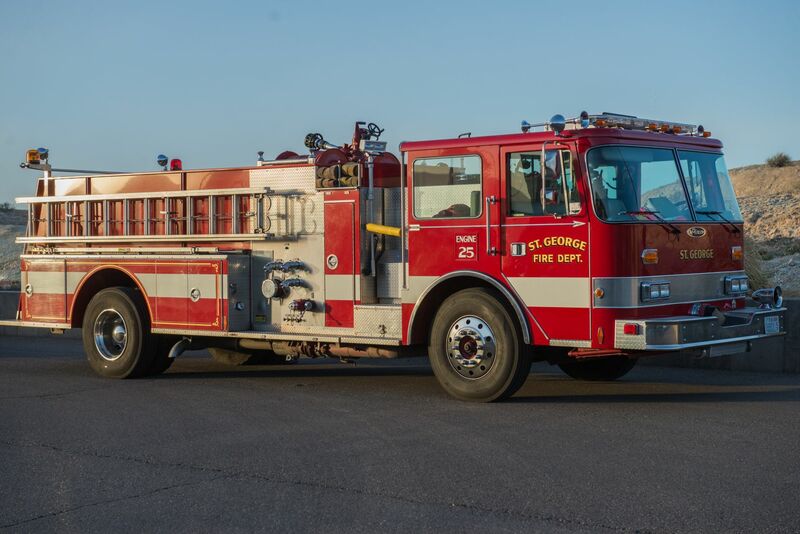 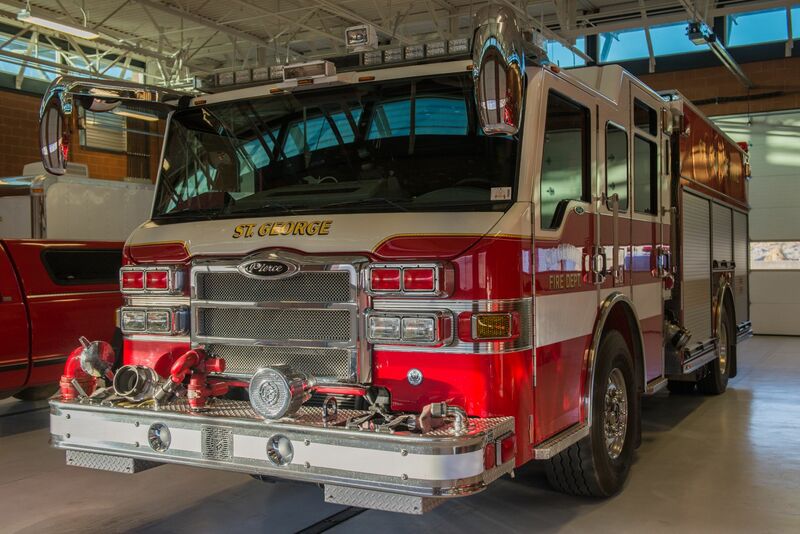 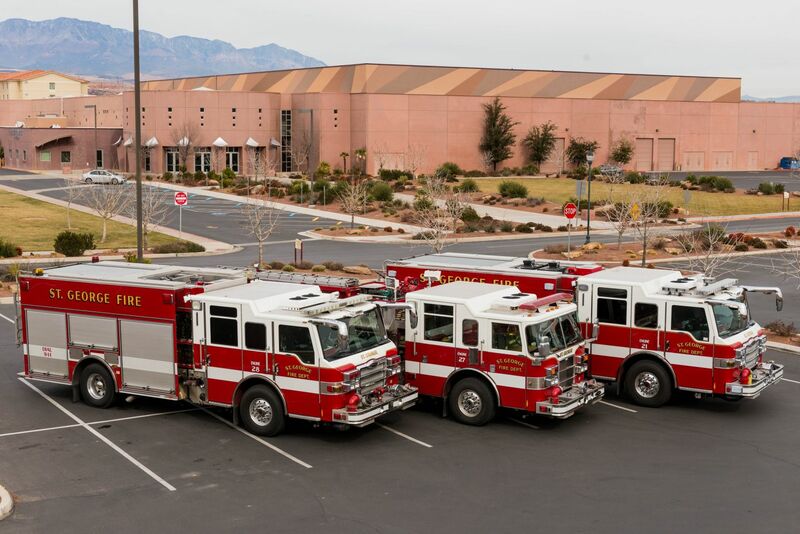 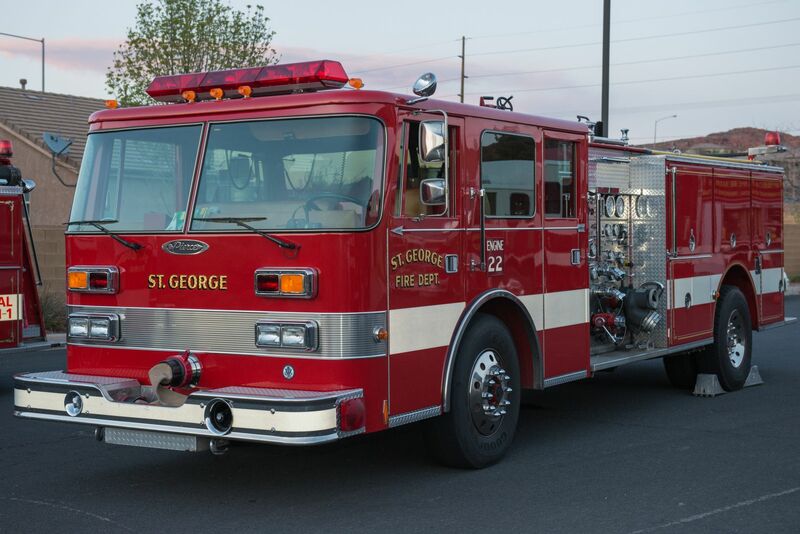 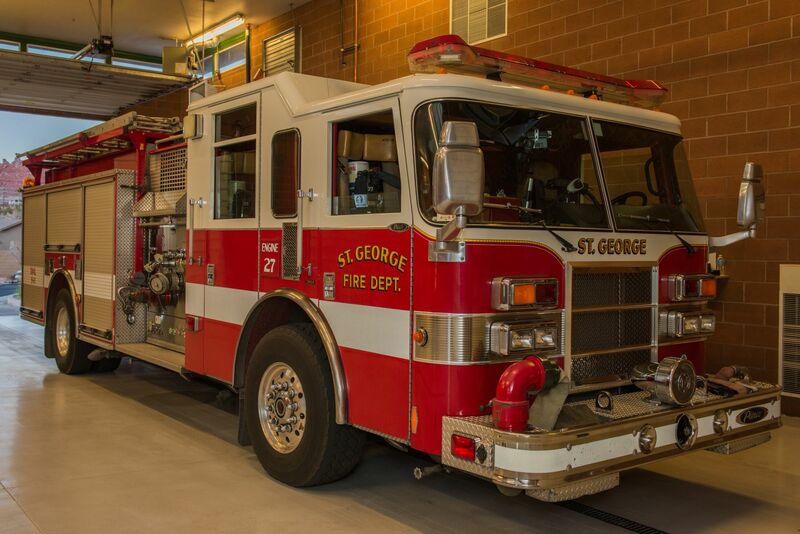 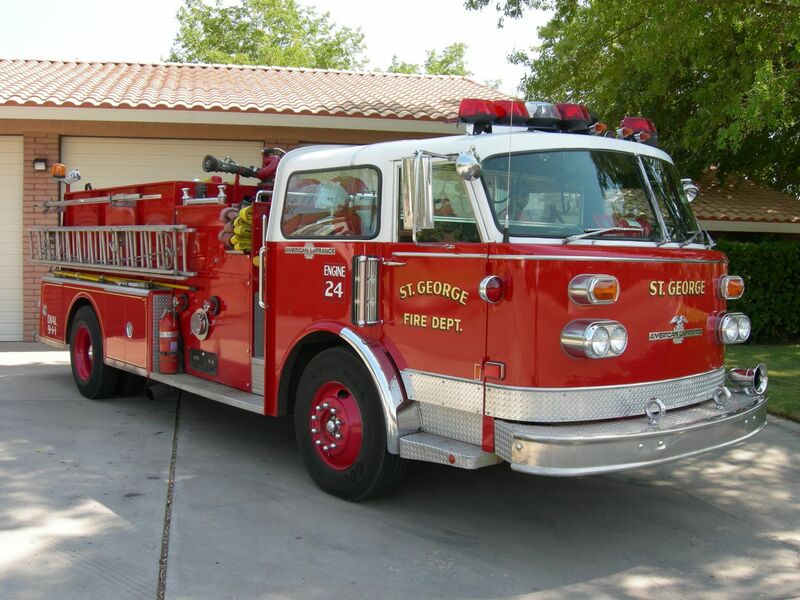 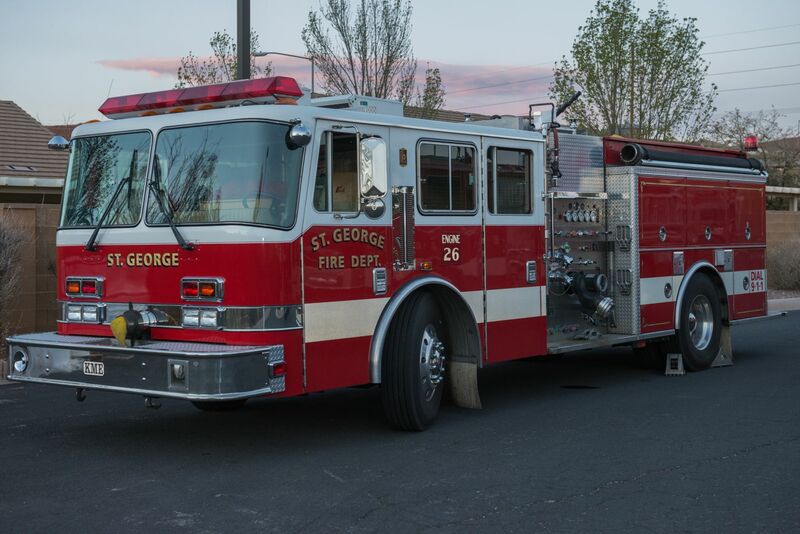 The St. George Fire Department owns 14 fire engines: a Type 1 engine for each station, with three pumpers in reserve. 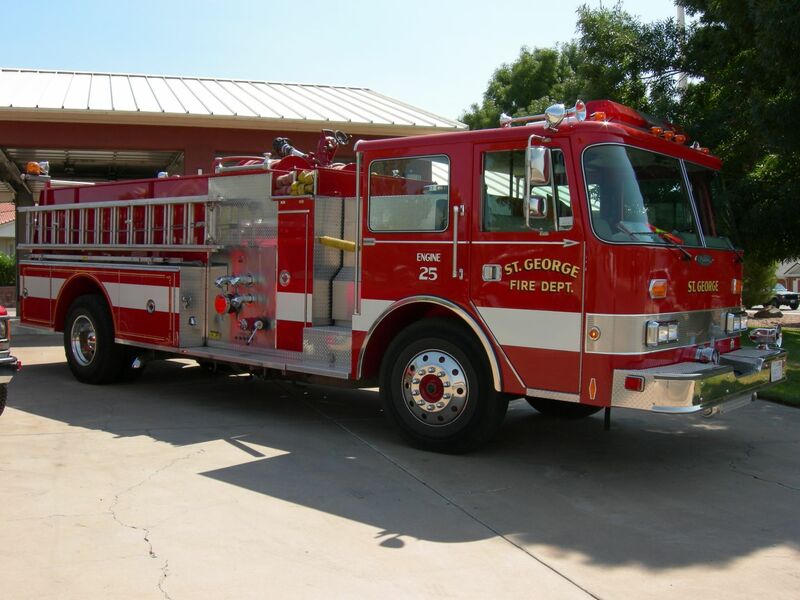 Each engine holds 750 gallons of water, and has between a 1,500-2,000 gpm pump. 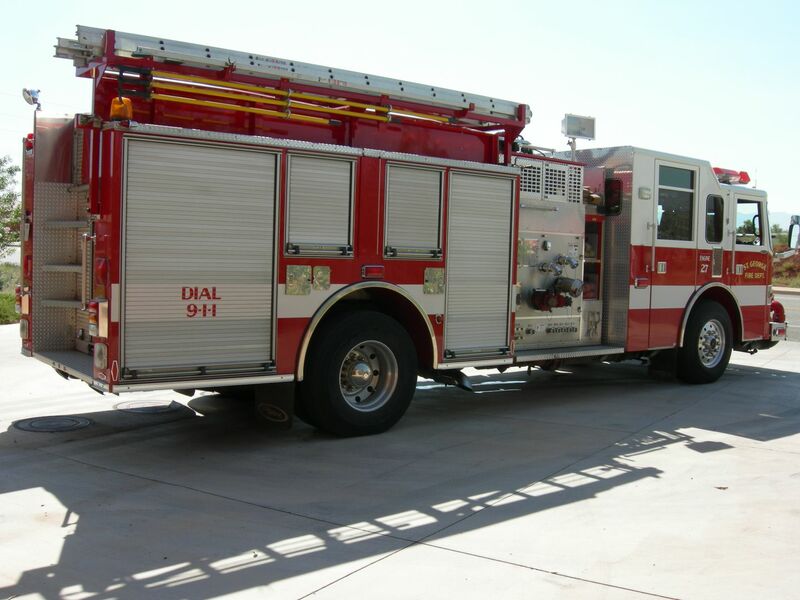 Engines also carry rescue tools, and have on-board generators.